I have been using vape mods for more than five years now. Over the years I have come to gravitate to certain online vendors which have consistently shown a high quality of products and customer service. On the other hand, I have also experienced the frustrations and disappointments of buying products from vendors who do not stand by their products. 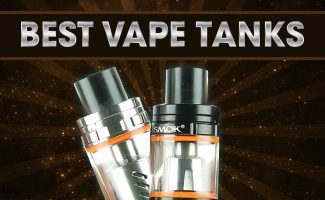 Hopefully this list will save you from some of the trials and errors I went through to find quality online vape shops for your vaping needs. Listed below are some of the top electronic cigarette website retailers I like to deal with. VaporFi is owned by the International Vapor Group, which manages some other notable brands as South Beach Smoke and EverSmoke. Since joining the electronic cigarette market, VaporFi has made a name for itself by creating some well designed electronic cigarettes backed by some of the best warranties in the business. 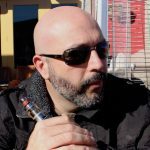 VaporFi is at the forefront on the latest in vaping technologies. They recently introduced some high tech Temperature Control Devices and have a number of sub-ohm mods which have received rave reviews from Vapers around the world. They also sell a number of tanks and clearomizers which are guaranteed to generate abundant vapor and flavor. No worries if you are new to vaping – VaporFi offers a number of starter kits, including cig-a-likes, for smokers who have decided to make the switch. VaporFi also has a large selection of top notch eLiquids. It is important to do ample research on the types of e-liquids you purchase since they produce the vapor and provide the nicotine to the user. There are reasons why you should consider purchasing your e liquid here: VaporFi eLiquids don’t have the usual fake butter taste meaning they are diacetyl free. The manufacturing company has been registered and awarded a certificate by the FDA as a tobacco manufacturer. They also update the FDA on all the formulas which are then registered and on file. VaporFi only uses the purest and top rated nicotine. Different e-cigarette companies manufacture their glycerine from a number of agents; VaporFi obtains theirs from the highest quality soybeans, so those who have an allergic reaction to peanuts need not worry. Every eLiquid they manufacture has a lot number that could be traced back to the origin, just in case a customer isn’t satisfied. Customer satisfaction is their top priority. If a customer experiences an issue with the product during the 90-day period after purchase, they should contact the company and ship back the defected item within the 20-day period after receiving the RMA. Customers are advised to note that the warranty ONLY covers manufacturing defects. Make sure to also check out our comprehensive VaporFi Review. This is a company that was founded by a group of former smokers. Mig Vapor is all about making vaping products with exceptional battery life and that create amazing vapor. For instance, if you take a look at my Mig Vapor Neo review below, you will see that I noted how the Neo battery lasted a full three days before needing a charge. Mig Vapor has great customer service and I noted that this company has legions of fans. Their vaping products are well made, powerful and innovative. Mig Vapor provides international shipping, and delivery may take between 7 to 30 business days depending on the continent and country. Mig Vapor offers a 30 day refund or exchange warranty on their products and can offer an exchange or store credit if the 30 day period has expired and the product is still in a new, unaltered and unused condition. Also, check out our comprehensive Mig Vapor Review. Direct Vapor doesn’t sell any products under their own brand name. Their main purpose is to carry the most up to date vaping products from the leading ecig brands and match their prices to the lowest found online. If you want the latest vaping device at the lowest price, this is the site to go to. Direct Vapor has a vast selection of electronic cigarettes. These include the more basic varieties for beginner vapers, sub-ohm mods, box mods and temperature control devices for the advanced user. They are a worldwide wholesale distributor and boasts the majority of distribution contracts with major electronic cigarette manufacturers. Direct Vapor offers free shipping with no minimums and a 60-day warranty on any product with a 15-day return policy. They understand that there are many vaping brands to choose from, and their aim is to offer them all; giving Vapers many options that they weren’t aware of. In one word, they value empowerment. 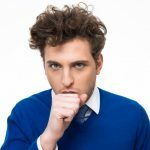 Based in Paramus, New Jersey, Breazy.com is an acclaimed online retailer of vaping devices and accessories. 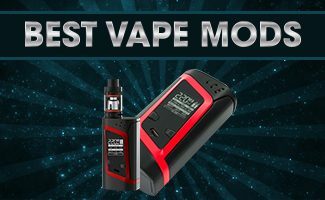 The company offers many types of vaporizers from traditional vape pens to the newest mods, and they also have one of the largest selections of premium e-liquids on the Internet. Founded with a strong sense of responsibility and a superior commitment to customer service, Breazy.com has found favor with vapers all over the world. Founded in 2014, Breazy.com has focused on providing quality vaping products at competitive prices since day one. The company also regularly offers perks to its regular customers. With every $30 purchase the company includes a free bottle of e-juice that the customer has not ordered in the past from Breazy.com. This is just one way the business shows its appreciation for those who embrace the vaping lifestyle. Being a positive force in the vaping community is important to this retailer. This is why Breazy.com donates 1% of its profits to charity. The business does not market or sell its products to individuals under the age of 19 in any jurisdiction, and the executives work hard as responsible vaping advocates. 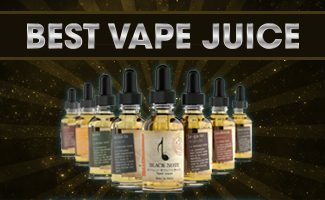 Popular product categories include e-juices, hardware, mods, and tanks. The New Arrivals and Deals sections of the Breezy.com website offer exceptional values that can change from day to day. Every purchase over $50 ships free to the United States, and the company also offers Express and Priority Mail shipping options. Individuals can purchase with confidence thanks to SSL security which protects a customer’s private information. There are so many products to explore at Breazy.com that visitors would do well to bookmark the site and check back on a daily basis for the latest sales and values. Occasionally, the company even conducts flash sales where vaping devices and accessories can be purchased at a substantial discount. There are thousands of electronic cigarette retailers on the internet, but none are as popular or vast as V2. V2 E-Cigs have gained massive popularity for their premium quality and immense product variety. They also offer a lifetime warranty on their e-cigs that extends to all electronic components. Their ease of ordering is another premium feature, since they use a fast-checkout system for regular customers who prefer the convenience of shopping online to visiting a brick-and-mortar establishment. Vape Pens – The V2 Pro Series allows the user to expand their vaping experience with upgradeable components. E-Liquid – V2 produces twelve different flavors of premium e-liquid in a variety of strengths. Pre-filled Cartridges – The same premium e-liquid flavors that are available as liquid are also available in pre-filled cartridges, and there are even some special edition flavors available only as cartridges. Starter Kits – These kits have everything you need to start enjoying a V2 device, and there are eight different kits to choose from. Batteries – V2 batteries are available in manual or automatic, and they come in four lengths that will be sure to fit your device. Accessories – Charging cables, lanyards, and more are all available to boost your experience to the next level. The customer service for V2 is stellar, and there are a number ways to contact them. They can supply answers to any questions you may have about V2 products, and they can help with returns, shipping issues, or any other logistics of obtaining your device. You can also connect with V2 through social media, email, their blog, or their forum. One of the biggest appeals of purchasing a V2 is that customer loyalty is rewarded. You earn points with every purchase that are redeemable for V2 products, and if you refer a friend, you can get even more points. As you spend more with them, you also unlock other benefits, like discounts on products and shipping. Ultimately, V2 makes every aspect of buying an electronic cigarette easy, enjoyable, and most importantly, affordable.